Mercury = the messenger of the gods, will get your message there in style! 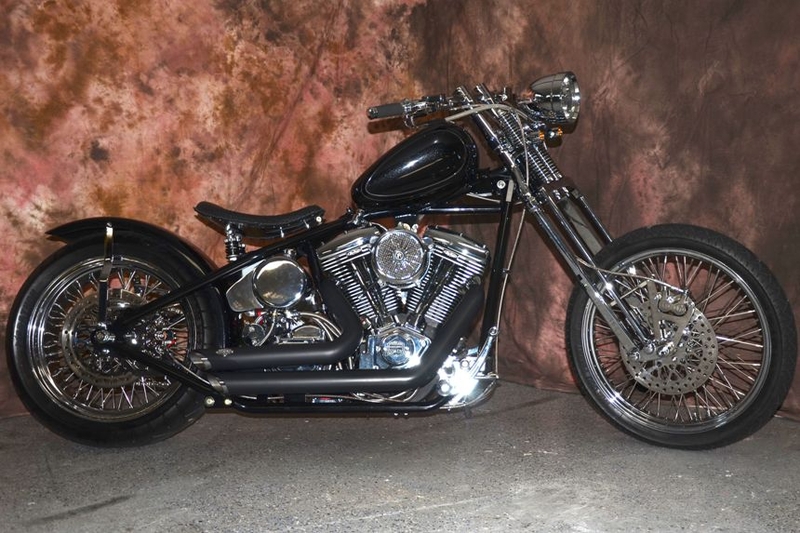 Mercury is built on a Kraft Tech rigid frame, springer front end, 200 rear tire, Indian Larry gas tank, 9" flat rear fender, round oil tank, 110" engine, 6spd trans, 3" open primary, Jaybrake controls and brakes, drag bars, internal wiring and a spring solo seat. We sell Mercury at a set price, unlike many bike builders who offer a low base price for a simple motorcycle then charge for every little item. We believe in offering the customer the best right up front and giving you some say in the building of your bike at no extra cost.